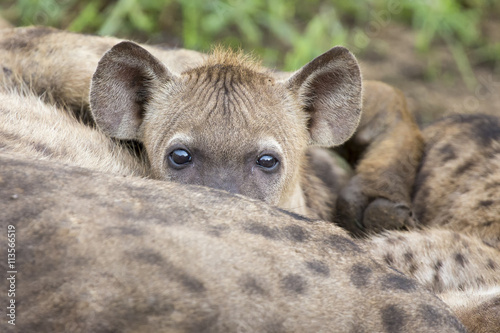 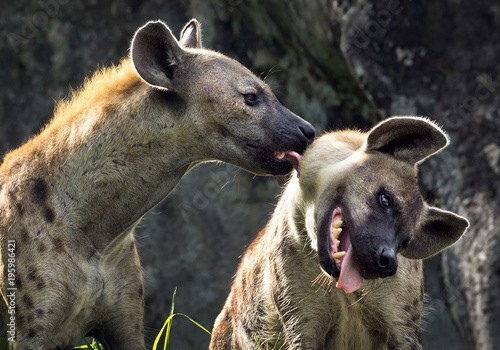 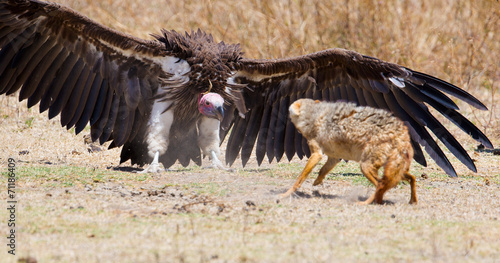 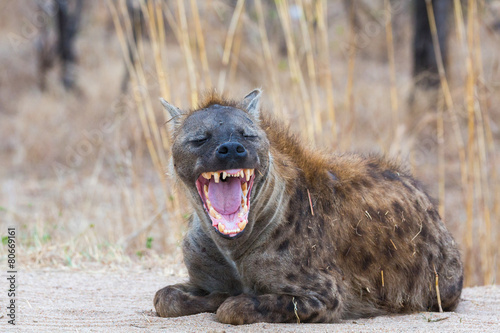 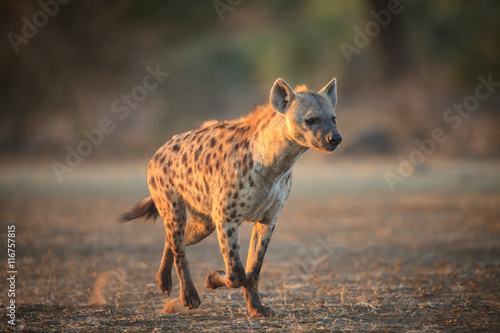 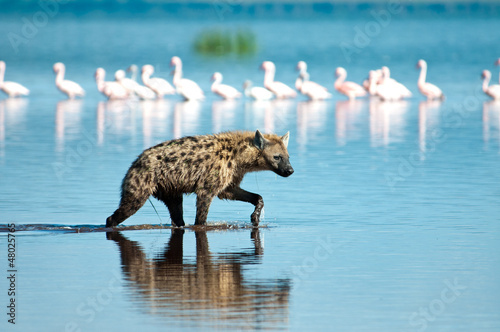 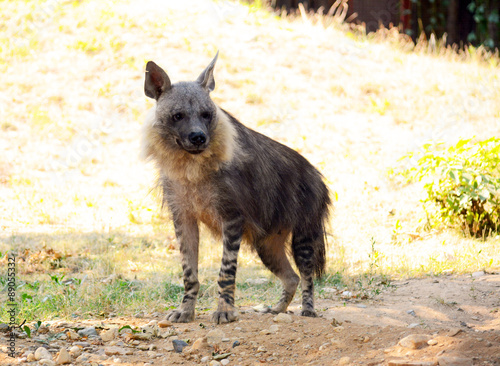 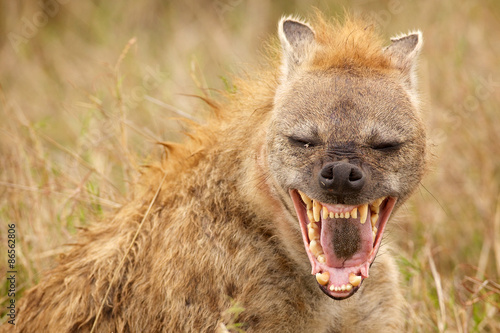 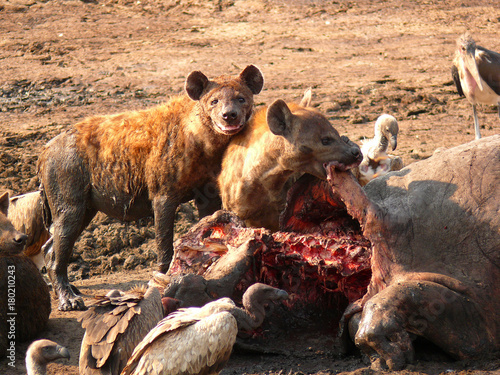 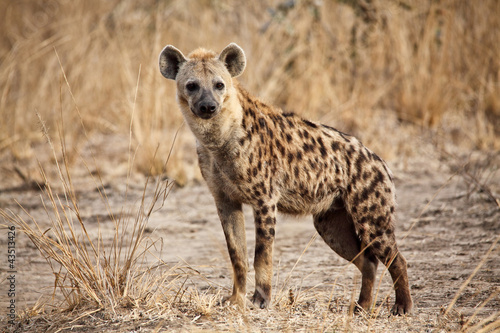 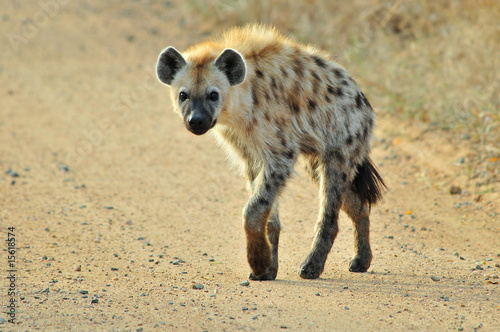 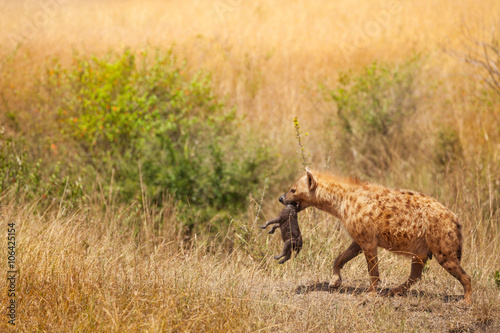 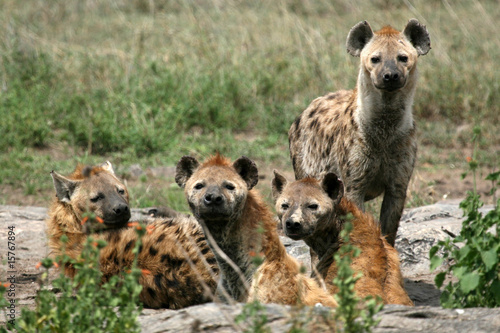 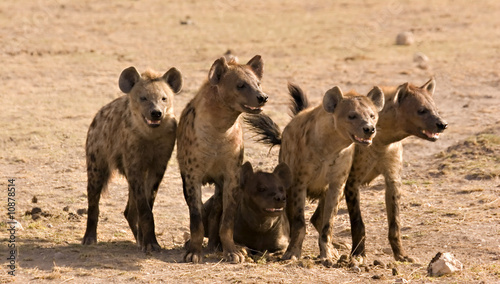 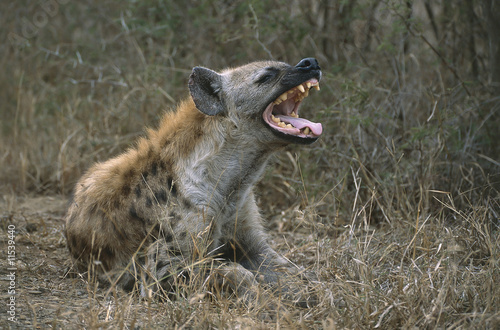 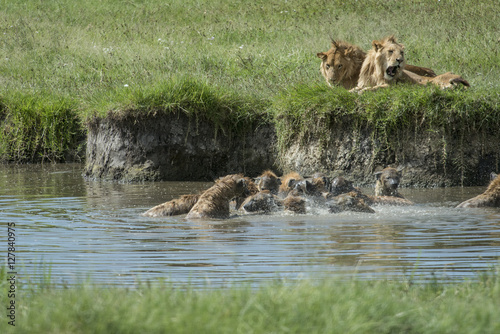 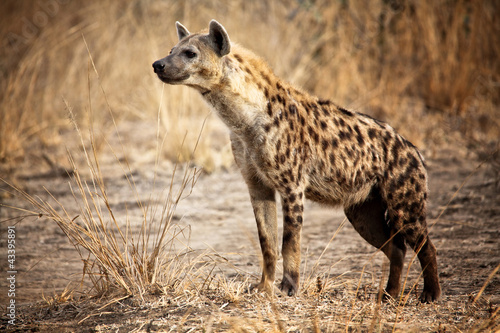 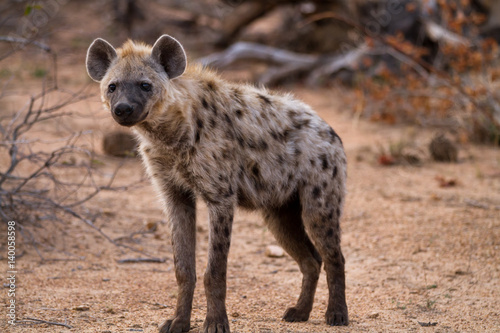 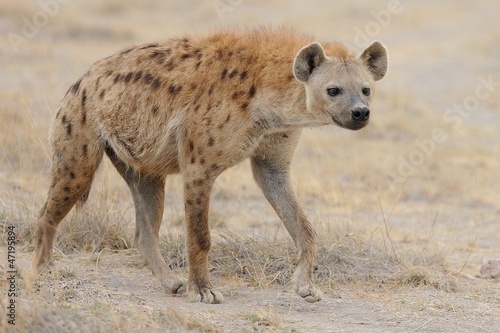 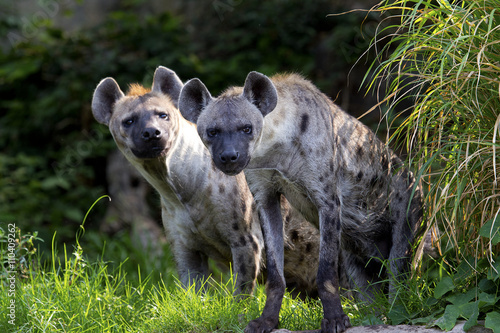 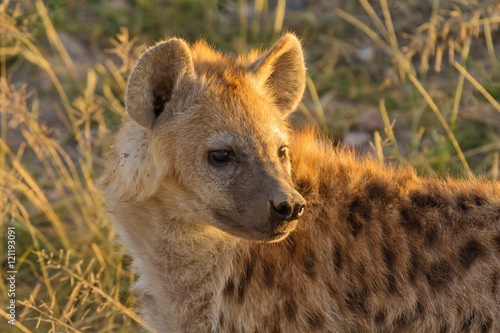 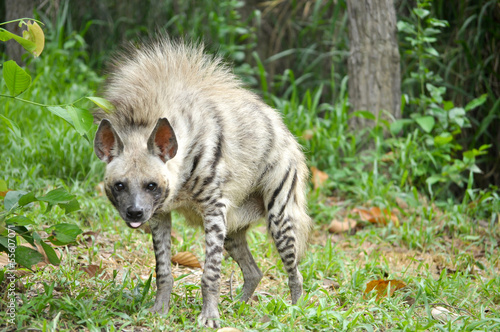 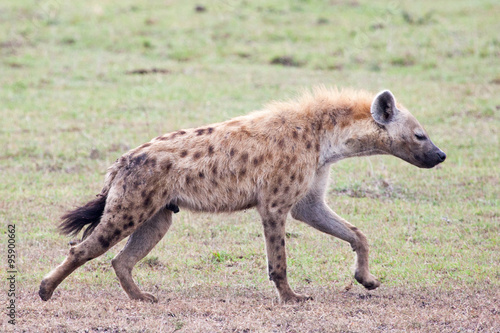 The family of spotted hyena in an atmosphere of wild nature. 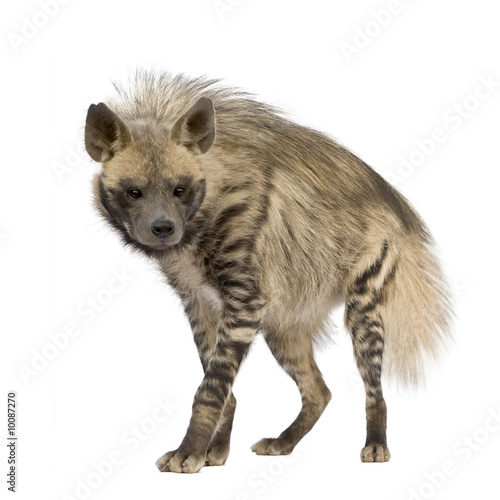 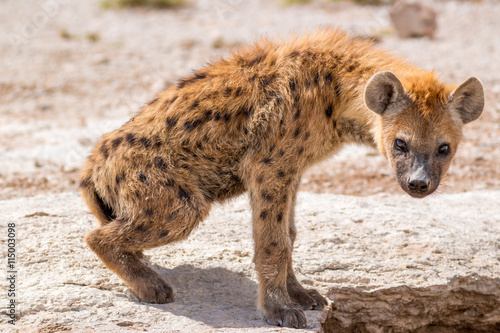 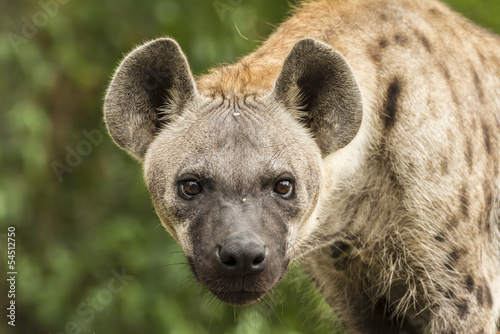 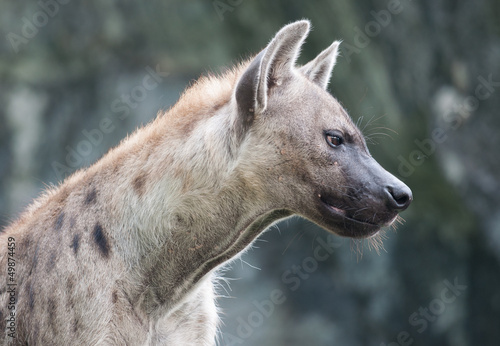 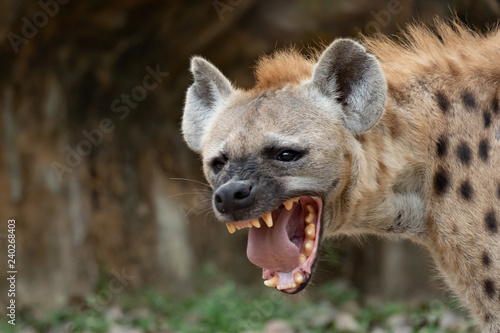 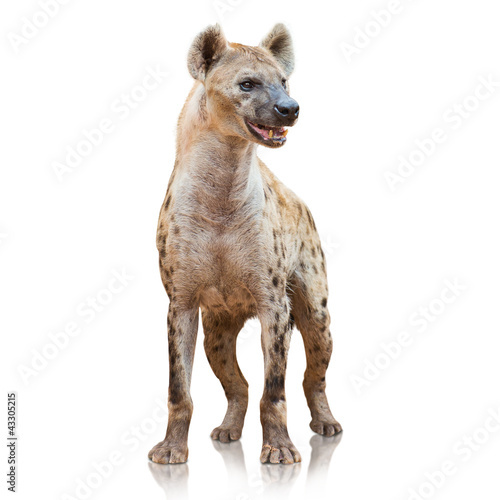 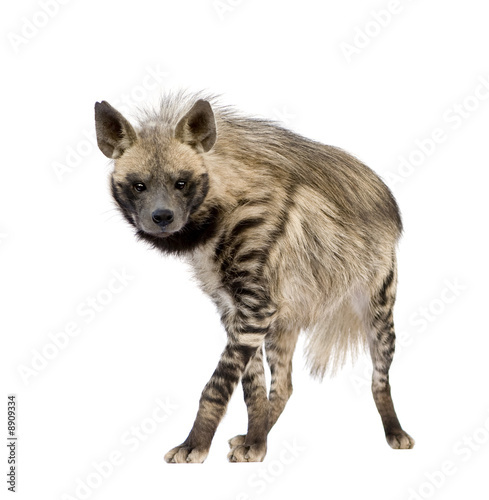 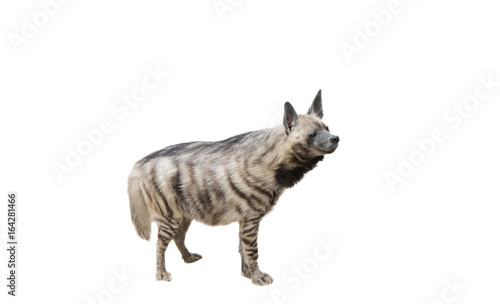 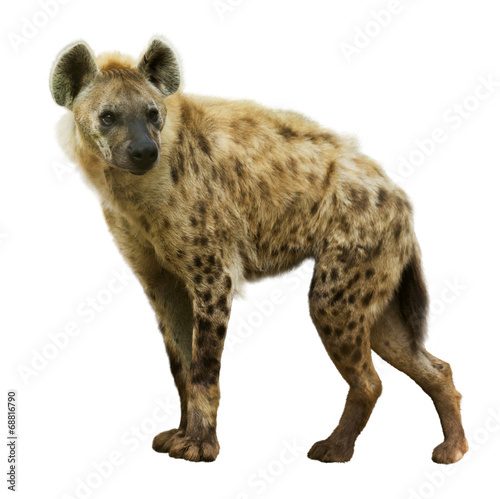 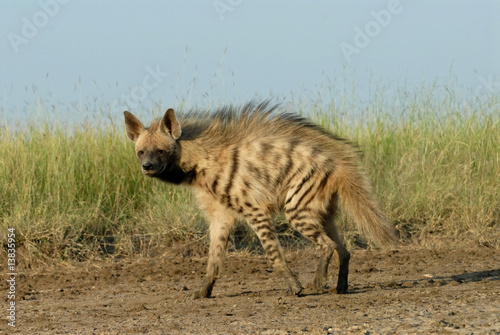 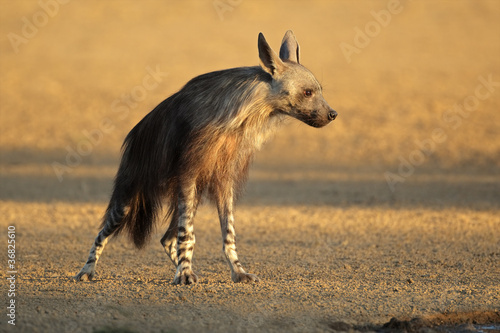 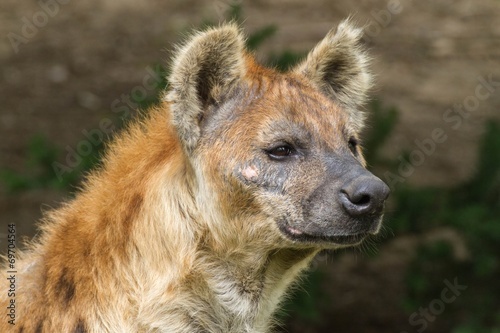 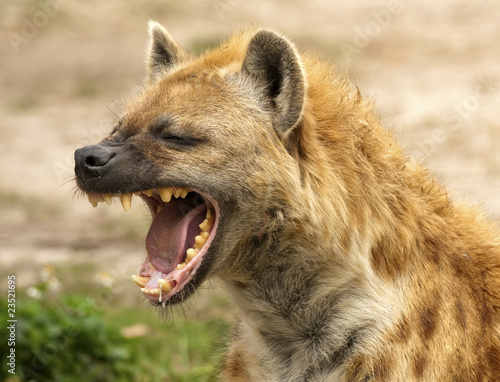 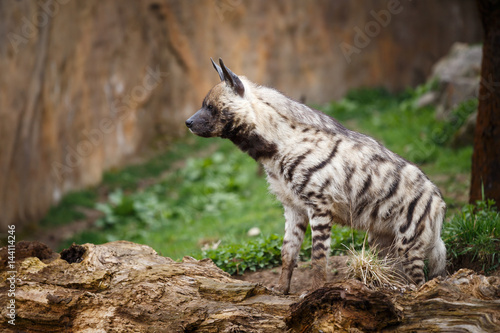 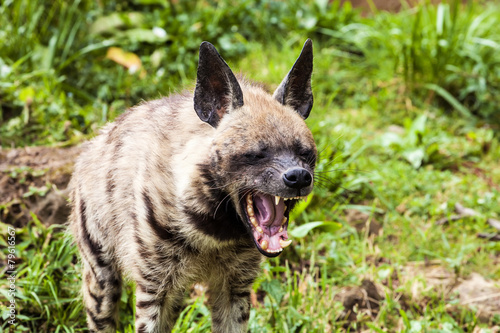 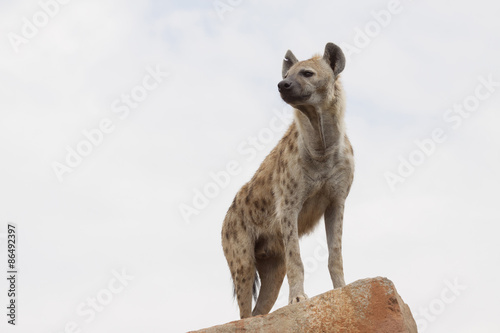 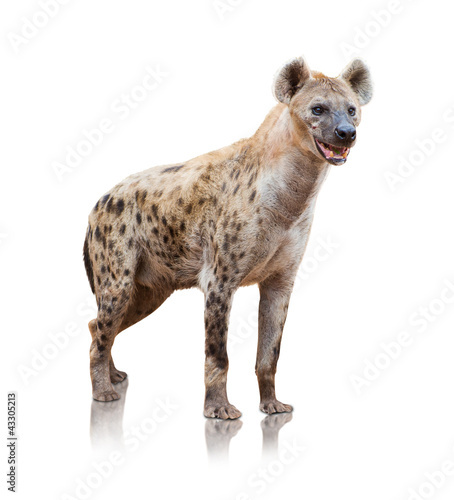 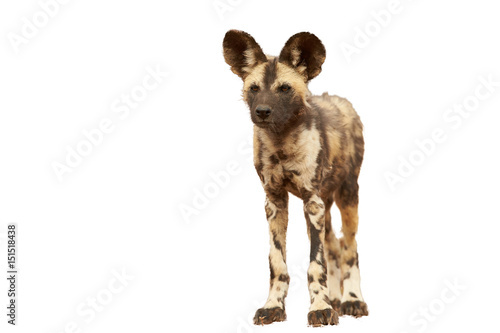 Isolated on white background, African Wild Dog, Lycaon pictus, close up puppy, front view. 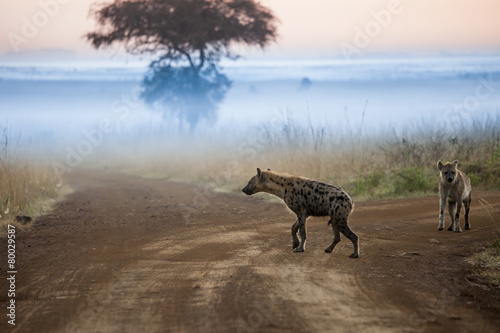 Zimanga, South Africa.